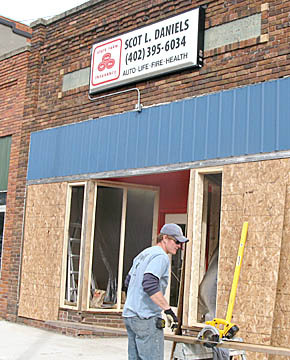 A downtown storefront improvement program is underway in downtown Albion. 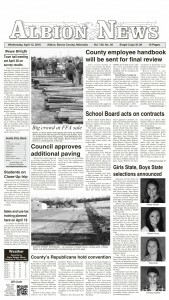 The first project of the spring (above) is taking place at the Scot Daniels State Farm office on Main Street. Old windows were removed, and framework was installed for new windows. 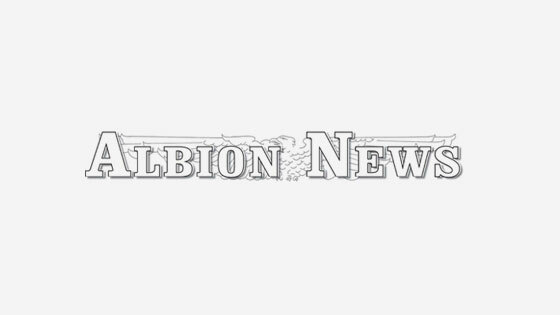 Albion Economic Development Corp. is offering a program to businesses in the downtown redevelopment area, to pay up to half the cost (maximum $5,000) of qualifying storefront improvements.